(October 19, 2000-Quincy,Mass) The body of Bulger gang victim Debbie Davis is unearthed from a shallow grave under the Neponset Bridge by State police and other officials. 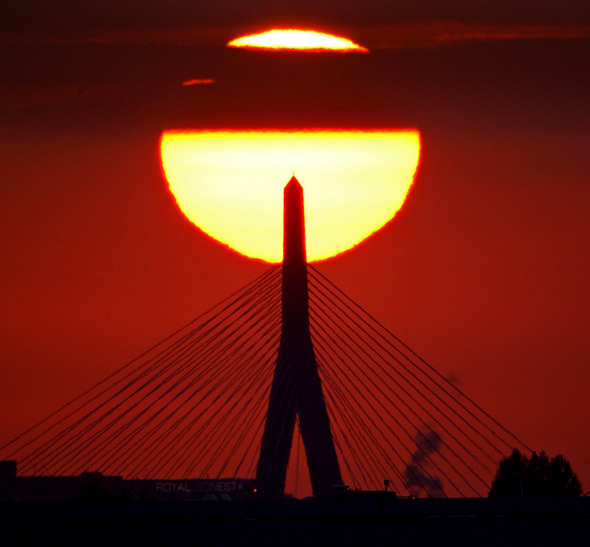 Se my photo below for the Boston Herald. 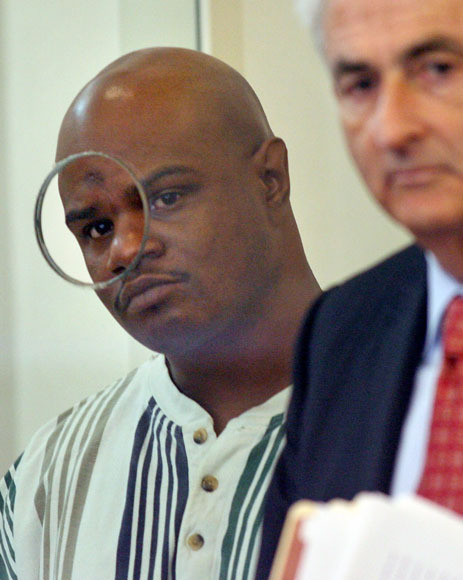 I was the pool photographer today at the arraignment of Kimani Washington, who was held on a high bail in connection with cocaine trafficking and firearms charges that could connect him further to the Mattapan quadruple murders. My photos were distributed to all who wanted them, as part of the pool agreement for cameras in the courtroom. Boston Herald reporter Laura Crimaldi wrote the story here. 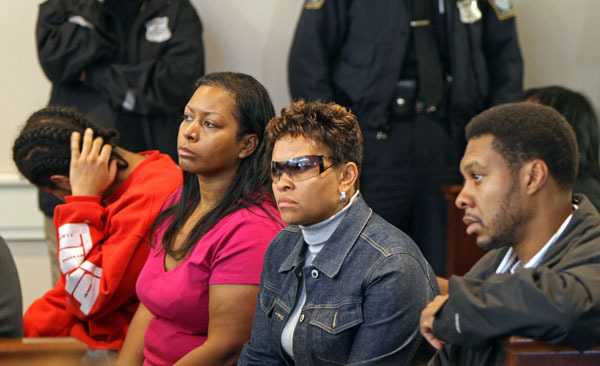 The family of Levaughn Washum-Garrison, led by his mother Patricia Wasum-Bennett (with sunglasses) is seen at the arraignment of Kimani Washington in Dorchester Court Wednesday morning. 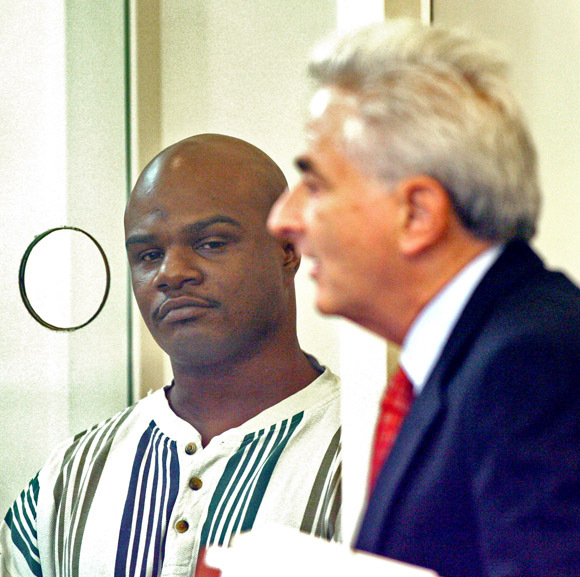 Washington was in court in connection with the quadruple homicide in Mattapan late last month. 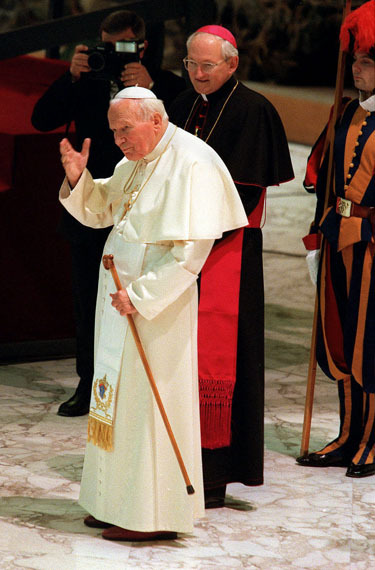 On This Date in My Photo History: Pope John Paul 11 @ Vatican in ’98. In 1998 I was sent with Boston Herald columnist Peter Gelzinis for the canonization of Edith Stein, with connections to a young Brockton girl. The girl, Benedicta McCarthy, recovered from a near death tylenol overdose when she was 2 years old. Her family organized prayer chains to pray specifically to McCarthy’s namesake, Sister Teresa Benedicta of the Cross also known as Edith Stein. Stein, according to Wikipedia, was a jew who died in 1942 in the Auschwitz death camp. In 1922 she had converted to catholicism and was baptized. Read more here in a 2010 ABC news interview. The canonization trip happened on the weekend of October 11th and 12th. Here are my photos below. 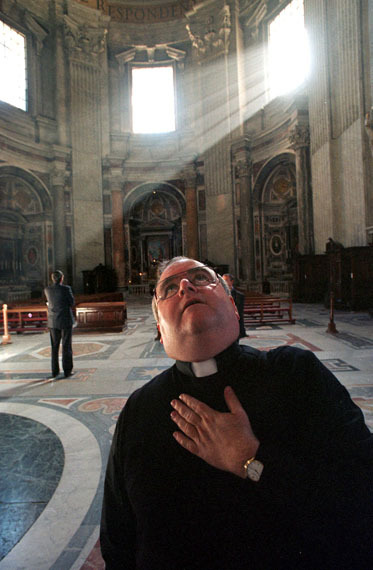 A visiting Father William Schmidt of Stoneham's St.Patrick's looks in awe at St. Peter's Basilica. Here, Benedicta McCarthy receives communion from the Pope. Tags: Benedicta McCarthy, Boston Herald, Edith Stein, Mark Garfinkel, Rome, Saint, Vatican. 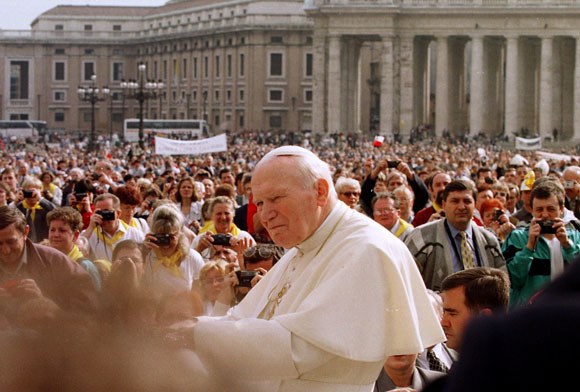 Posted in Uncategorized | Comments Off on On This Date in My Photo History: Pope John Paul 11 @ Vatican in ’98.